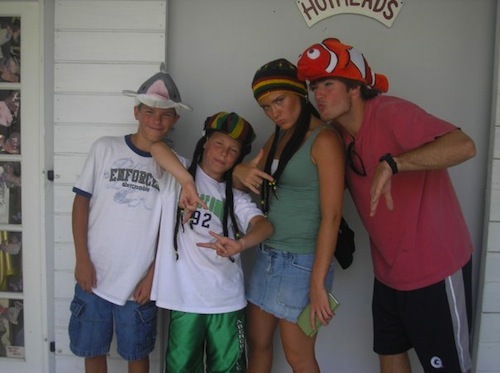 My family and I are picture maniacs, especially when it comes to St Croix pictures! We especially love taking goofy shots and pictures with the family. Here's a picture of me jumping off the dock at Buck Island and doing a fun pose! 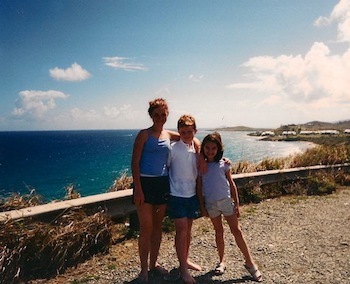 Here's one of me with my boyfriend's family in St Croix. We all posed in goofy hats! 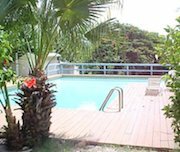 Below is one of my favorite St Croix pictures. 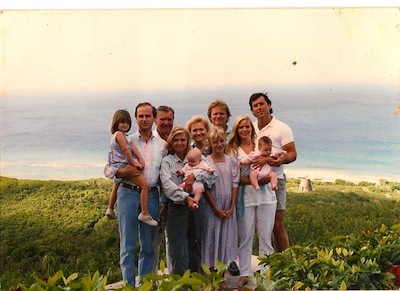 It's my whole extended family (at the time) when I was just a little baby in St Croix. I'm the red-headed baby to the right. 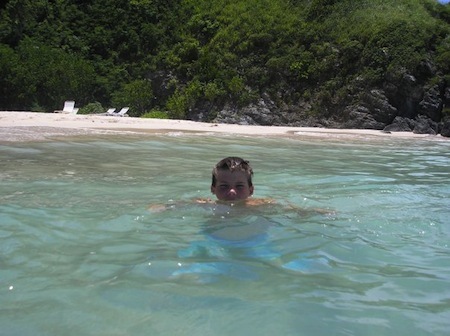 This picture was taken at the beach at Carambola Resort. You can see how crystal clear the water is! I like it because my cousin looks silly. And last but not least, here's a picture of me with my younger brother and younger sister. My dad pulled over to the side of the road and just snapped a quick one and it turned out great!